Reports are one of the best ways of gaining insight into your business. Designed and used the right way, reports can give you all the information you need, updated, to make better decisions. It all comes down to one question: can your reports reflect the true nature and state of your company? 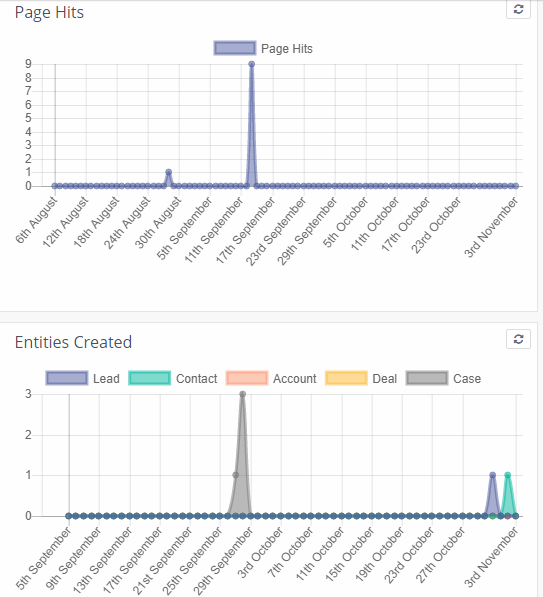 In Flexie CRM, you can create custom reports from scratch. What is more, you can add widgets to simplify day-to-day business activities, sales activities in particular. Widgets help you get an overview on various sales metrics such as leads lists, deals lists and forecasts, won and lost deals, converted leads, etc. Create new widgets and use filters to build customized and personalized reports. Since Flexie CRM is fully customizble, you can create reports which reflect concrete metrics in your business. The more accurate your reports, the better decisions you can make.